Atlas web based monitoring solves the two main problems of instrumentation: timely processing of readings and timely distribution of the results. Atlas works 24 hours a day, processing incoming readings, checking for alarm conditions, and providing immediate access to graphs and reports via the internet. Data files from the project site are forwarded to Atlas on the internet. Atlas processes the readings to check for alarms and stores the data in a database. Users can then view processed data and graphs with their web browsers. Data and graphs are available anywhere there is an internet connection: at work, at home, at the client's office, or half-way around the world. 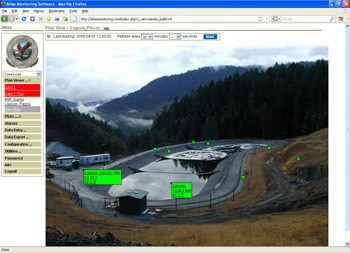 Views show the location of sensors at the site, their current readings, and their alarm status. Views are updated when new readings arrive and can show alarms, as required. Plots can be viewed on screen, printed, and included in reports. Plot types include trend plots, profile plots, and correlation plots. Tabular Data can be displayed instantly with plots. Data can also be downloaded for further analysis. Reports are generated automatically and emailed to users on a daily, weekly, or monthly schedule. Alarms appear on screen. Alarm notifications are sent out by email and can be forwarded to cell phones. Atlas never sleeps: Atlas is at work 24 hours a day. It scans incoming data for alarm conditions and always presents the most current information available. Atlas is efficient and reliable: Atlas automates repetitive tasks, standardizes data processing, and frees your staff for other work. Atlas is web-enabled: Data and graphs are available anywhere there is an internet connection: at work, at home, at the client's office, or half-way around the world. Atlas is familiar: Atlas minimizes training requirements because users already know how to use web browsers. Atlas provides continuity: Atlas keeps sensor calibrations, processing routines, and data in a secure, central location. There are no disruptions due to personnel changes, lost computers, or crashed programs. Atlas is affordable: Atlas Web Service offers flexible monthly plans that can grow or shrink to match your requirements. How are sensor readings transferred from the site to Atlas? 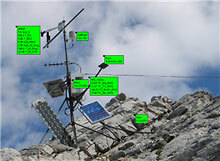 A PC retrieves data from the logger and then forwards the data to Atlas via the internet. This is the most common way to send data to Atlas, and it can be fully automated. 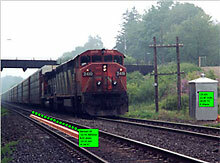 The PC connects to the logger and runs software to communicate with the logger. The software is supplied by the logger manufacturer. The PC, which must be connected to the internet, then runs software to forwards the data to Atlas. FTP Scheduler, supplied free to Atlas users, is an example of software that runs automatically. This method eliminates the PC. 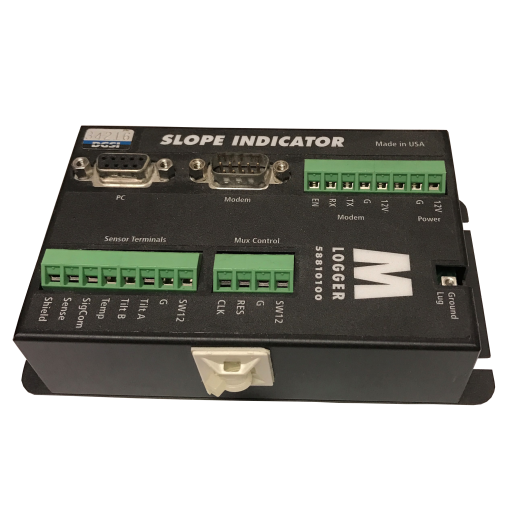 Instead, the logger is programmed to operate a cellular modem and to transmit data at regular intervals to the internet via FTP or SMS. This method will become more common as the cellular networks increase their coverage and bandwidth. Atlas also accepts manually acquired data, such as water levels measured with a water level indicator. Users can enter these readings with their web browser. Sometimes data are best processed with specialized software or a spreadsheet. Users can upload the resulting plots to Atlas. These can be displayed on screen and included in reports. Finally, users can make entries in the project logbook and upload photographs. Does Atlas retrieve data from data loggers? No. Data must be sent to Atlas. This task is normally performed by a PC. The PC retrieves data from the logger and then fowards the data to Atlas. What data formats does Atlas support? Atlas currently supports the Atlas format, Campbell Scientific formats (array-based and table-based), and a Geodetic format. The VW MiniLogger is also supported, since it can output data in the Campbell format. Custom input filters for other formats can be programmed on request. Can users enter data manually? Yes. Atlas provides a convenient way for users to enter data using their web browsers. This is useful for values that are not normally logged, such as fill height or standpipe water levels. Atlas also provides a logbook so that users can enter project-related observations and photographs. Again, only a web browser is required. Is internet service provided with Atlas? No. The connection to the internet must be obtained from local internet service providers. Dial-up access to the internet is economical if there is already a telephone line to the site office. Cellular connections may also be an economical alternative in some locations. Download the Atlas Data Sheet. It summarizes the major features and benefits of Atlas. The FTP scheduler sends data files to ATlas automatically. It is normally installed on the same computer that retrieves data from the data logger. Once installed, FTP scheduler stays resident. It watches a specific folder for the appearance of a new data file. When it detects a new file, it sends a copy of it to Atlas and places a backup copy of the file in an archive folder. FTP Scheduler was written in Java by Jos Nutbroek and is supplied free of charge. The download file is called ftp-scheduler-for-windows.zip. Download the file, unzip it into a temporary directory, and run the setup. The program requires that Java runtime engine is installed. Also be sure to read Instructions for FTP Scheduler. 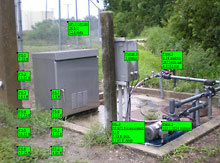 An Atlas project holds sensor calibrations, processing instructions, graphs, views, reports, alarms, and data for all the sensors at a project site. All of this information is stored in a secure, central location, where it is immediately available to authorized users. When users log in, Atlas displays the project page. Each project page can be customized by logo graphics. The smaller logo is for the name of the consultant or organization, and the larger logo is used for the name of the project. Atlas provides three types of users. This makes it safe, easy, and practical to share project data with a wide audience. Guests have the fewest options. They can see plan views and plots and manage their own passwords. Users have more permissions. They can also confirm alarms, download data, upload manually-collected data, and add entries and photos to the logbook. Administrators have access to all features. They can create new projects, add users, add sensors, set up trend plots and plan views, set alarm levels, create reports, and archive data. Is it difficult to set up an Atlas project? No. Atlas is designed for easy setup by users. It is easy to make changes, too. How do new users know they have been added to a project? When the administrator adds a user to the project, Atlas automatically sends an email to the new user. It contains his user name, password, and a link to the project. Can a user be added to more than one project? Yes, a user may be added to any number of projects. Suppose my consulting firm is working on several different projects, each with a different owner. Can these owners see the other projects? No. You'll assign the owner to his own project. When the owner logs in, Atlas will show only that project, possibly customized with his own logo. The owner will not see any other projects or even know that they exist. How many projects does Atlas allow? Atlas Web Service offers a ready-to-use Atlas account with an unlimited number of projects. Monthly fees for the service vary according to the number of sensors used. Can guests see everything that users and administrators see? Not necessarily. An administrator can choose which plots, views, and alarms are visible to guests. He can also modify permissions for each user, adding more or fewer permissions. Atlas always stores raw (unprocessed) readings in the project database. When it receives a request for data, Atlas processes readings on the fly. This ensures that any corrections to calibration factors, processing methods, or data values are always included in the results that Atlas presents. Atlas performs the same on-the-fly calculations when it first imports the readings. This allows Atlas to scan for alarm conditions. 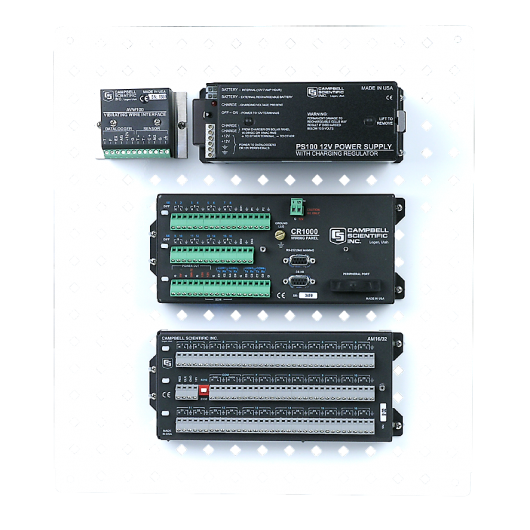 Each project contains a sensor table that lists all the sensors in the project, their serial numbers, calibration factors, and much more. Since all of this information is collected in one table, it is easy to make additions, corrections, and changes. The sensor table also eliminates the problem of lost calibration sheets. The screen shot above shows a few rows and columns of the sensor table. The serial number, calibration factors, and formula are usually obtained from the sensor calibration sheet or sensor manual. 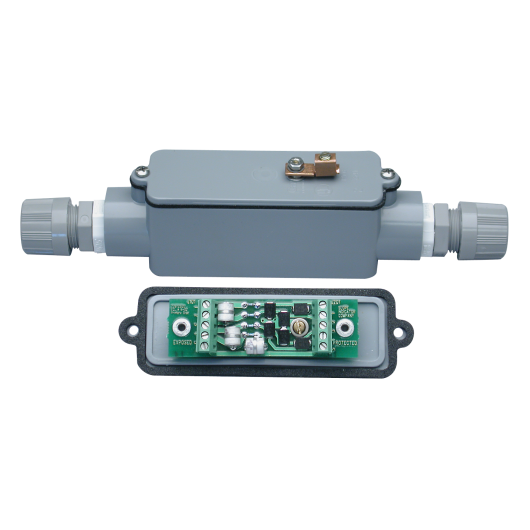 For efficiency in entering a large number of sensors, sensor entries can be copied and then modified as appropriate. Atlas uses the calibration factors and expressions in the sensor table to convert raw readings to data in engineering units. Expressions can reference datum readings and also readings from other sensors. This allows Atlas to calculate changes or correct for temperature or atmospheric pressure. It also allows for the cumulative calculations required for beam sensors or in-place inclinometers. Atlas provides a versatile range of graphs, reports, and alarms. Click on the links below to learn more. 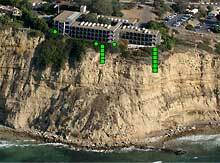 Views show sensors superimposed on site drawings or photographs. The current reading is visible and the color of a sensor changes according to its alarm status. Views update automatically while displayed. 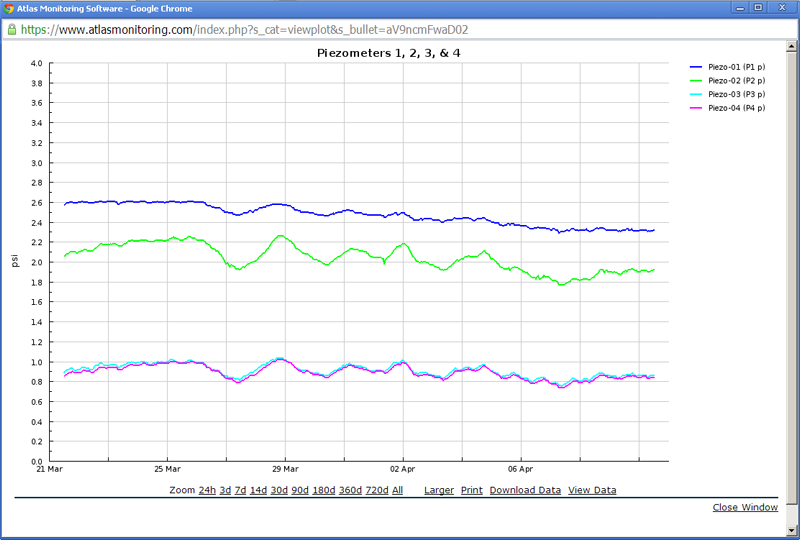 Views show the current readings of sensors at the site. Created from site drawings or photographs, views have an overlay of data boxes that show the current reading for each sensor. The color of a data box changes from green to yellow to red to indicate its alarm status. Views can be set up with the data boxes expanded or collapsed to a symbol. Symbols are convenient when there are many sensors in close proximity, as in view above. Rolling the mouse cursor over a symbol will expand it to show measurement values. Atlas provides a variety of symbol shapes - assigned in the sensor table - to differentiate different types of sensors. Views are refreshed automatically to show the most recent readings and the current alarm conditions. 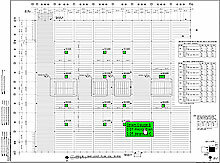 The graphical portion of the plan view stays in the browser's cache, making refreshes of the data very fast. Clicking a measurement value within the box displays a trend plot, as shown above. This is particularly useful if the box shows an alarm condition, since the user can quickly evaluate whether the alarm condition is the result of a trend or just a one-time event..
Atlas provides time plots, profile plots, correlation plots, and image plots. Plots can be generated on demand or generated automatically for reports. The plots are configured by an administrative user and made available to users via a menu. When the user clicks the name of a plot, Atlas generates the plot from the most current data available. Users can narrow or expand the time span from 1 to 720 days by clicking or tapping on a link. Other links provide larger plots, printing, data downloads, and a handy, pop-up table of data, as shown below. Profile plots are used to display displacement data from linked sensors such as in-place inclinometers or beam sensors. 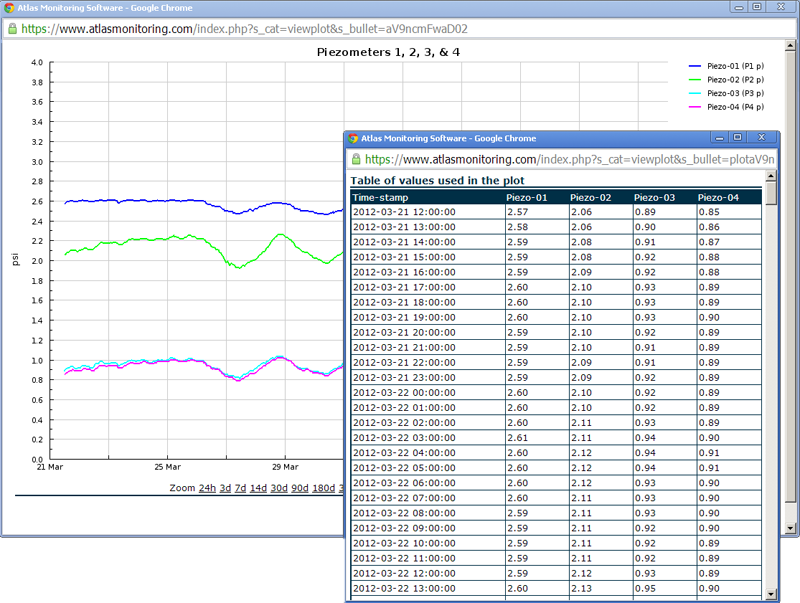 Atlas also accepts data from DigiPro2 inclinometer software, as shown here. 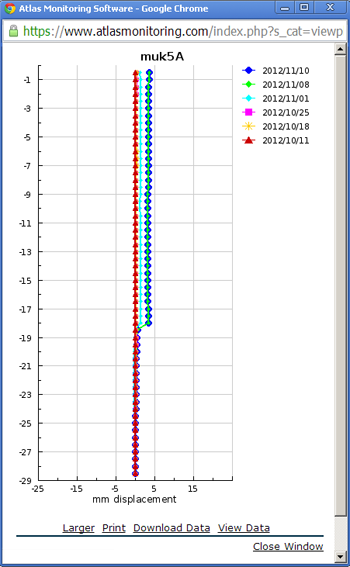 Trend Plots show sensor data against time. Correlation plots show one series of data values plotted against another series of data values. Image plots hold graphic files generated by other programs, such as a Excel. Atlas generates reports and emails them to users on a daily, weekly, or monthly schedule. Reports can also be generated on demand. Atlas can generate PDF reports on daily, weekly, or monthly schedule and automatically email the reports to selected users. Reports can also be generated on demand, if automation is not needed. Reports start with a cover page, which can contain a graphic such as a logo or project photo, as well as the normal title text and date. An optional overview page is next. The overview page has room for a graphic followed by text. The text can extend to multiple pages, if required. Those who generate reports on demand may find this useful for extended commentary. Next are pages for plots (the same plots that Atlas displays on screen). Plots can be added in any order and later sorted or toggled on or off. A paragraph of text is allowed before each plot and after each plot. If tabular data are needed, a data table, which holds all the plotted values, can be toggled on to appear after the plot. Following the plot section, there are two more optional sections. The alarm table shows a list of all the alarms triggered for during the report period. The log book shows comments and photographs that have been added. Both sections can be toggled on or off. Atlas provides complete access to any data that you send. You can download processed or unprocessed readings for archiving or for further analysis in spreadsheets. Although Atlas offers an exceptionally broad array of functions to process data, it may be convenient to download data for further analysis with spreadsheet software. The data download dialog provides complete control to the user. The user can specify a date range and one or more sensors, selecting them from a drop-down list. In addition, the user can specify unprocessed "raw" readings or calculated readings. The field separator can be a comma, tab, or a semi-colon. Finally, there is a very convenient setting that reduces the number of readings that will be downloaded. In the example above, Atlas will return every 10th reading, making the total volume of data easier to handle in a spreadsheet. Administrators can periodically remove readings from the database using the Archive dialog. Atlas returns a text file containing identified, time-stamped, but otherwise unprocessed readings. The archive file can be reloaded, if necessary. Atlas displays alarms on screen and can send notifications by email or sms text messages. Atlas scans incoming readings for alarms conditions. Alarm thresholds can be based on fixed values or the results of a calculation and may be set for any channel of any sensor. Watchdog alarms warn if no readings are received. When Atlas detects an alarm condition, it generates on-screen warnings, registers the alarm in the alarm log, and puts the alarm into the email notification queue. Alarms are displayed on screen in red or yellow. In the plan view at right, two sensors have changed from green, which is normal, to yellow and red, which indicate alarm conditions. If a site is very large, it may be necessary to create several plan views. The menu shows the list of these plan views. Notice the second screen shot. This is a different location at the same site. At this location, all of the sensors are green. Because users looking at this view cannot see the alarms in other views, Atlas highlights the views that have alarms. It is easy to see that two plan views listed in the menu have red alarms. Notice the gray highlighting of the last view in the list. That is a watchdog alarm, indicating that Atlas has received no data for that plan view. Usually, the watchdog alarm is set on the data logger. If data from that logger does not appear on schedule, Atlas triggers the watchdog alarm warning. Atlas sends out alarm notifications by email to selected users. The alarm email lists the time, sensor ID, the alarm level, and reading value. To avoid flooding email boxes and cell phone memories with alarms, Atlas sends out just one notification per alarm condition. It also provides filters, as explained below. Users do not always want to be notified every time an alarm is triggered, because the condition may be transient. Atlas provides filters to consolidate or suppress alarms. In the group filter at right, three sensors have been selected and a value of 2 has been set for total alarms. If two of the sensors enter amber or red condition, then the alarm notification will be sent (only one alarm for the group). Otherwise the notification is suppressed. The second test is a kind of persistence filter. No alarm notification is sent unless the alarm persists for a certain number of minutes or occurs a certain number of instances. Atlas records every alarm in an alarm table. The table shows the time, value, alarm level, and the name of the person who confirmed the alarm. Alarm thresholds can be set in the sensor table, but it is easier to set thresholds from a plan view. Click on the sensor box to see the alarm dialog. There are four possible thresholds: a high and low alarm for red and a high and low alarm for amber (yellow). The threshold value can be a fixed number, as shown here or the result of a calculation. The name of the sensor and its current reading is displayed at the top. The current reading of 141 has exceeded the amber threshold of 120. Data Center Atlas Web Service is hosted by DGSI at a secure data center. It offers flexible monthly plans that can grow or shrink based on your requirements. Atlas Web Service is likely to be the easiest and most cost-effective way to deploy Atlas. Monthly plans, sized to match your projects. Change your plan as your needs evolve. Each plan includes an unlimited number of projects, graphs, reports, and users. Easy to share data with owners, clients, and other offices. Quick and easy start up. Atlas is ready to go, with no IT involvement. No hardware or software to install and maintain. Secure data center with automatic backups and guaranteed up time. No long-term commitment, a reasonable one-time activation fee. My company is working on several projects. Each project has a different owner. Do we need a different Atlas account for each project? Answer: No, you need only one Atlas account for all of your projects. When owners log on to Atlas, they will see only their own project. They will not see any other projects. Please download the datasheet for Atlas Web Based Monitoring. Automatic Import Atlas automatically imports data files that are sent to its input folder. 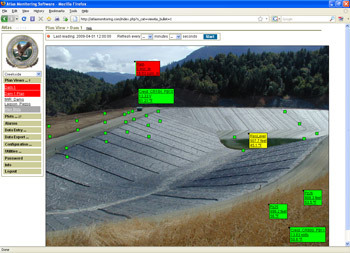 In a typical scenario, a PC automatically retrieves readings from data loggers at the site and forwards them to Atlas via the internet. Data files can also be copied to the input folder when Atlas is operating on a local area network or a standalone computer. Conversions and Calculations Atlas converts raw readings to data in engineering units as specified in an equation stored for each channel of each sensor. Equations can reference datum readings and also readings from other sensors. This allows Atlas to calculate changes, perform corrections for temperature or atmospheric pressure. It also allows for cumulative calculations required for beam sensors or in-place inclinometers. Atlas organizes data presentation by project. A project can have its own logo and front page, and any number of plan views, trend plots, and reports. All data presentation features can be configured by users. No high-level administration is required.